IoT's role in the world of connected transportation will grow, says Kyle Connor, Cisco’s transportation industry principal. But it will take cooperation among companies and agencies to make it succeed. Cisco is one of the biggest proponents — and potential beneficiaries — of the Internet of Things (IoT). The networking giant is pushing IoT solutions in a number of areas, not least of which is the transporation sector. To learn more about how the company sees the future of IoT playing out in the world of connected transporation, I spoke (via email) with Kyle Connor, Cisco’s transportation industry principal. For example, he said, if a transportation department has roadway sensors that detect fog, it could share or sell the collected data to weather institutions or navigation systems. That could enable more efficient travel, as well as dramatically impact safety, Connor predicted. “This IoT-enabled infrastructure — roadway automation, real-time data, and true situational awareness — will allow … agencies to react instantaneously and even stop major accidents,” he said. That’s a great idea, but as we’ll see below, asking the multiple vendors and agencies involved to work together efficiently seems a bit optimistic to me. Connor predited that the growth of Mobility-as-a-Service (MaaS) and Transportation-as-a-Service (TaaS) will enhance the passenger experience. MaaS and TaaS reflect the move away from personally owned transportation (private cars) toward mobility services such as Uber or Lyft. Also read: AI and IoT: Like peanut butter and chocolate? Terrific, but MaaS and TaaS are hardly news for millions of people who live in cities with existing transporation infractructures. For us, it’s just called commuting, and it has yet to be demonstrated what it will take to get most Americans out of their cars. Again, this is a great idea, but the devil is in the details. Even if AI and machine learning can figture out the most efficient transportation decisions, human and political factors are likely to hinder their implementation. According to Connor, modern networks and data architectures are essential to enable the myriad IoT connections from smart devices and other consumer technologies. But sorting out who is allowed to access, share, and monetize that information will require clear new legislation and policy, he noted. While many observers note that IoT technology evolves much faster than the vehicles and infrastructure they power, Connor had an opposite viewpoint. 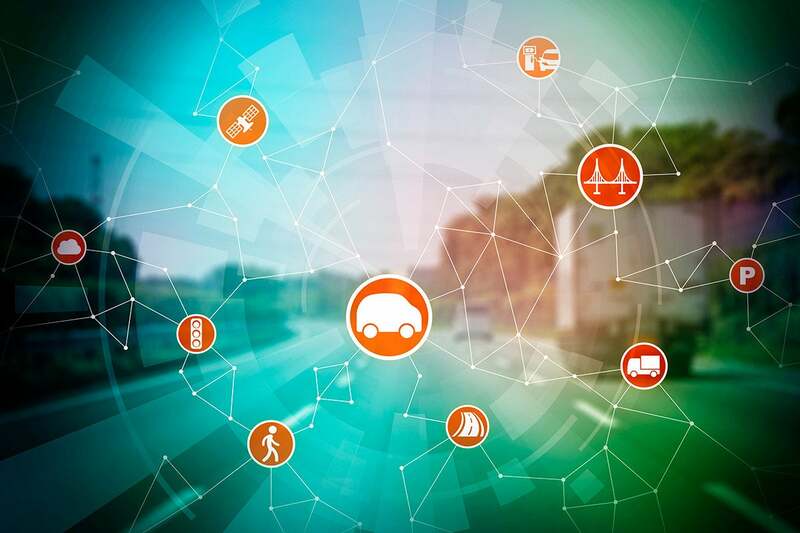 “In fact," he said, “the IoT data collected and analyzed from connected cars and infrastructures can help extend the life of these vehicles and the transportation system through predictive analytics and preventative maintenance. For example, by aggregating and analyzing traffic data from IoT sensors on streetlights, transportation agencies can determine which roads are most frequently traveled and service them first. The choice, he said, is between Dedicated Short Range Communications (DSRC) or 5G. While the mobile carriers support 5G, not surprisingly, he bets that the highly anticipated S. DoT Report to Order on Vehicle to Infrastructure will settle on the carmaker-backed DSRC due to its rigorous testing for automotive safety. But most of all, it seemed, Connor is hoping for a universal standard that everyone can get behind. I couldn’t agree more.